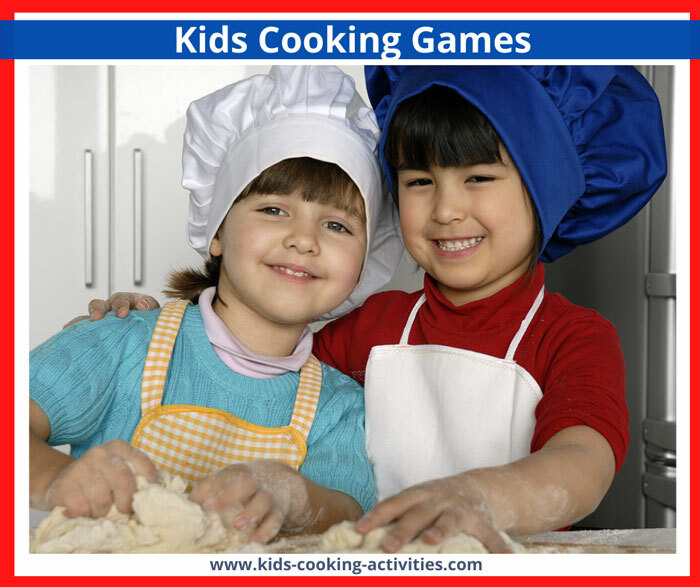 If youve ever wanted to get your child interested in the kitchen, then cooking games are a great place to start. Not only will these games instill a love of cooking and baking, but you can also use the games to highlight important life skills like taking turns and being able to accept defeat. When you start on this kind of project, make sure that you keep the focus on the process of playing games and baking, rather than the end result. Try these game ideas for cooking classes, kids cooking parties or just a fun in the kitchen family experience. Blindfold taste testing. Make up some different dishes, including some that you know that your child enjoys. Blindfold your child and feed them a spoon of each dish. You can get them to guess the ingredients, or merely state their preference. This will help build trust between you, as well as introducing them to new foods. For extra fun, allow them to blindfold and feed you. See also our food science experiment taste testing game. Memory. 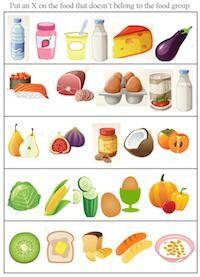 Show your child a selection of foods and then ask them to close their eyes. Feed them one piece of food and ask them to identify it. If they get stuck, they can open their eyes and use their memory to help them out. Guesstimate. Set a challenge of weighing out a certain weight, like four ounces, one pound, or a quality such as a tablespoon or a cup, of various baking ingredients. Cover up the numbers on your weighing scale and challenge your child to put in 100g of flour, sugar or butter. When theyre ready, take off the cover and see how close they were. This will teach them that its ok to be wrong, and to get better at making accurate guesses. Dividing. First, make something simple and round with your child, like a pie or a pizza. Invite some of their friends around for dinner, and ask your child to split the dish up so that everyone gets an equal share. For an extra challenge, ask your child to decorate the pizza so that everyone gets an equal amount of each topping. The one handed chef. 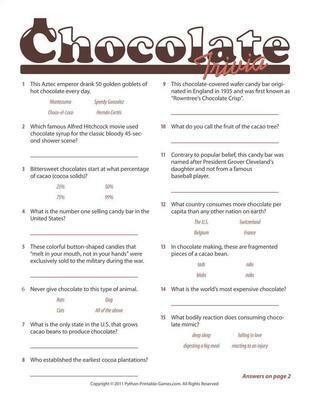 Pick a simple recipe to make together with your child. Then explain that each of you can only use one hand and the other must stay behind your back. You then need to get the ingredients ready, make the dish and serve, all through working together. This really helps to improve communication and can be a real bonding experience. One job team. This works best when you have a team of young kitchen assistants. Assign each of them a job that is their responsibility, such as peeling, chopping or stirring. Then help them make the dish, going through the process person by person. This is good to help children think about the steps involved in cooking, and to help them patiently wait for their turn. "I made a pizza and topped it with________." Each child takes a turn and has to remember all the previous items on the pizza plus add one of their own toppings. See how far you can go before someone forgets. Have a relay race with small or big items and kids have to fill up muffin tins or a mixing bowl. Whomever fills their bowl first wins. Our Cook Doesnt Like Peas  yes, an interesting name for a quiet game! Have all the players, except one, sit in a row. The person who is it sits in front of the players and says to each in turn, our cook doesnt like peas (Ps); what would you give her instead? The player must answer with some word that does not contain the letter P. And that is the catch! If the player doesnt answer at the count of five, he must give up his turn. This game can be tricky because the words with a P are bound to slip out! Sing n spin blind folded! All children sing and even move around in a circle, whilst singing a party song i.e 'who stole the cookie'. If the blind folded child guesses the correct name of the child they grab at the end of the song, they take a prize from him/her.. Supply them with a few prizes (cookies) each to play. Whoever has the most prizes is the winner! Whilst food is cooking or simply having a break; pass the parcel could be enjoyed whilst singing this well known 'merry little song' who stole the cookie from the cookie jar.  Put fake or real flowers in a vase on each table, ect. "Once you arrive, feel free to sneak in the kitchen..."
2. Each guest will sneak into the kitchen- trying not to be seen. 3. If the guest(s) DOES get seen, they have to go back to the waiting room. 2. They'll get a recipe card and they'll have to compete together. 3. Whoever has the best food, wins a mini cook-book. 4. As soon as it comes out, the best tasting bread wins. 3. Whoever doesn't make a mess, wins. 2. Top each one off with your desire! 4. Best look and flavor wins! You split the kids into teams of between 2 and 6. Each group is given a list of ingredients e.g eggs, butter, sugar... They then have to pick ingredients out of a bowl e.g. ketchup, jelly, pepperoni... They then have to make a dish using those ingredients - everyone has to try it! The most important thing to remember when youre planning kids cooking games is to give yourself plenty of time. A dish that takes you 30 minutes to prepare by yourself will need at least an hour with your child. The last thing you want to do is to stress you both out with a time constraint. Here are more games to play at a cooking party. Do you have a kids cooking party idea, game or recipe to share? Share with others your kids cooking party ideas. Recipes, menu ideas, games or tips on having a successful party are welcome.